The eighth International Maritime Defence Show (IMDS -2017) finished its work successfully. The Show is one of the world leading exhibitions in the field of shipbuilding and naval armament. Developing transportation systems can sometimes last as long as 20 years. Aker Arctic (Aker Arctic Technology Inc.) follows and supports its customer projects from the early stages until the operation is running. Swedegas is investing in a new LNG infrastructure at the Port of Gothenburg, primarily to meet the need in the shipping industry for a more environmentally friendly fuel. The oblique icebreaker Baltika is serving as a standby vessel at the Arctic Gates oil terminal in the Gulf of Ob. In May 2017, Gazprom Neft’s Novoportovskoye field reached a significant milestone when the total cumulative oil shipped from the terminal onboard icebreaking shuttle tankers exceeded five million tonnes. Aker Arctic had a significant role in the development of this year-round transportation system. Rosneft is performing the drilling of the northernmost exploratory well on the Eastern Arctic shelf following a comprehensive geological study. During the drilling of the Tsentralno-Olginskaya-1 well from the shore of the Khara-Tumus Peninsula on the shelf of the Khatanga Bay of the Laptev Sea, three core samples were taken from depths of 2305 to 2363 m, which showed high oil saturation dominated with light oily fractions. On the basis of primary studies already, it can be concluded that a new oil field has been discovered, the volume of the resource potential of which is increasing as the drilling continues. Core sampling continues at the moment. 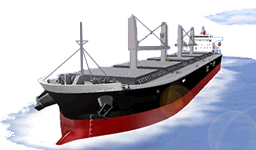 Featured topics: "Shipbuilding", "Shipping", "Ports", "Ocean and Shelf Exploration". 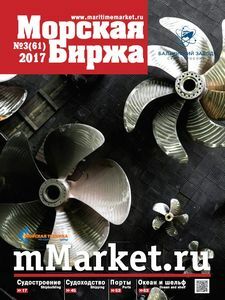 "Maritime Market" Magazine is targeted at shipping companies managers, shipbuilding and research specialists, port officials, maritime equipment manufacturers, visitors to marine exhibitions as well as wide range of audience interested in marine issues. Area of distribution - Russia and worldwide. Languages: Russian and English (30%).